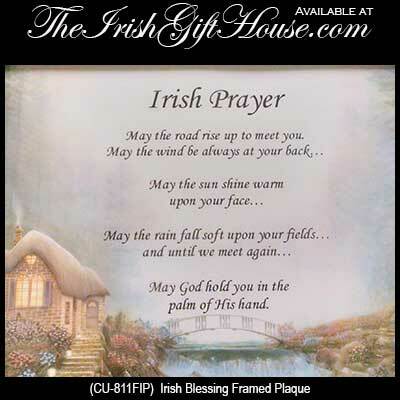 This Irish blessing plaque is a framed and matted print. This Irish blessing plaque features a pastoral landscape scene with a thatched roof cottage. The Irish blessing print is matted and under glass. The mahogany stained wood frame measures 13 1/2" wide x 11" tall and it is ready to hang on your wall or stand with the attached easel. 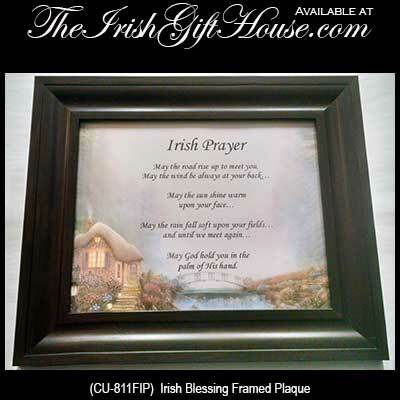 This Irish blessing framed print, from The Irish Gift House, is made in the United States.